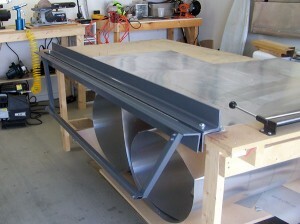 Before you can bond aluminium into any sort of useful structure, you have to cut and shape the sheets. Now – most of us don’t have access to a fully-furnished metal shop, and a $1000 heavy-duty sheet metal brake is probably not that high up on the shopping list. But don’t worry, there is hope for the DIYer. How can I get a copy of these plans. Thanks. Hi Gerry. Thanks for the heads-up. Looks like the original has since been deleted, but after a quick Google search I found the plans somewhere else. I’ve updated the link in the post. Good luck!